It used to be that to diagnose an illness, interpret legal documents, analyze foreign policy, or write a newspaper article you needed a human being with specific skills - and maybe an advanced degree or two. These days, high-level tasks are increasingly being handled by algorithms that can do precise work not only with speed but also with nuance. These "bots" started with human programming and logic, but now their reach extends beyond what their creators ever expected. Could history repeat itself, with one giant entity taking control of American information? Most consider the Internet Age to be a moment of unprecedented freedom in communications and culture. But as Tim Wu shows, each major new medium, from telephone to cable, arrived on a similar wave of idealistic optimism only to become, eventually, the object of industrial consolidation profoundly affecting how Americans communicate. incredibly thorough work. irritating narration. How should the United States act in the world? Americans cannot decide. Sometimes we burn with righteous anger, launching foreign wars and deposing governments. Then we retreat - until the cycle begins again. No matter how often we debate this question, none of what we say is original. Every argument is a pale shadow of the first and greatest debate, which erupted more than a century ago. Its themes resurface every time Americans argue whether to intervene in a foreign country. We’ve long understood black holes to be the points at which the universe as we know it comes to an end. Often billions of times more massive than the Sun, they lurk in the inner sanctum of almost every galaxy of stars in the universe. Recent research, however, has led to a cascade of new discoveries that have revealed an entirely different side to black holes. As the astrophysicist Caleb Scharf reveals in Gravity’s Engines, these chasms in space-time don’t just vacuum up everything that comes near them; they also spit out huge beams and clouds of matter. When your Internet cable leaves your living room, where does it go? Almost everything about our day-to-day lives - and the broader scheme of human culture - can be found on the Internet. But what is it physically? And where is it really? Our mental map of the network is as blank as the map of the ocean that Columbus carried on his first Atlantic voyage. The Internet, its material nuts and bolts, is an unexplored territory. Until now. 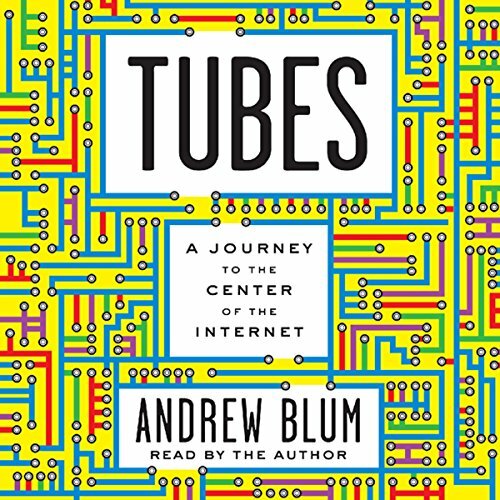 In Tubes, journalist Andrew Blum goes inside the Internet's physical infrastructure and flips on the lights, revealing an utterly fresh look at the online world we think we know. It is a shockingly tactile realm of unmarked compounds, populated by a special caste of engineer who pieces together our networks by hand; where glass fibers pulse with light and creaky telegraph buildings, tortuously rewired, become communication hubs once again. From the room in Los Angeles where the Internet first flickered to life to the caverns beneath Manhattan where new fiber-optic cable is buried; from the coast of Portugal, where a 10,000 mile undersea cable just two thumbs wide connects Europe and Africa to the wilds of the Pacific Northwest, where Google, Microsoft, and Facebook have built monumental data centers, Blum chronicles the dramatic story of the Internet's development, explains how it all works, and takes the first-ever in-depth look inside its hidden monuments. Like Tracy Kidder's classic The Soul of a New Machine or Tom Vanderbilt's recent best seller Traffic, Tubes combines on-the-ground reporting and lucid explanation into an engaging, mind-bending narrative to help us understand the physical world that underlies our digital lives. 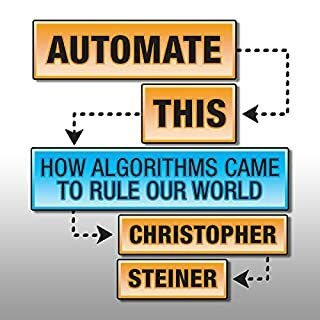 The author has turned what is the most important, complex and useful structure of our times, the internet, into a boring and dull book. He is a shining example of my most authors should not read their own material. He reads in a monotone with no vocal variety to make his subject marginally interesting. If you are prone to sleep while driving do not listen to this book in the car. You may get in an accident. Make no mistake the material could make a fascinating book, just not this one. The author tells of the first communication between two people over the fledgling internet. It should have all the drama of the first words between Bell and Watson but unfortunately it does not. This is described in the same dull manner that the author describes the journey to the various iconic internet places and buildings. The train, countryside, streets, signs and other tiny, inconsequential details are minutely described. The book, actually, could be mislabeled. 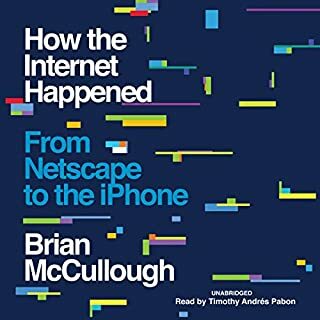 For those interested in narrative travelogues it could be a very good listen, but then they probably are not looking for a technical book about the workings of the internet. And those looking for a nuts and bolts book on how the parts of something as vast as the internet fits together into its whole are not looking for a travelogue description of it. That is the problem with this book. It is trying to appeal to two very different audiences and winds up appealing to none. No "There" There... Described In Vivid Detail. The material structure of the internet is a fascinating topic on many levels, from the environmental to the sociological, architectural, and philosophical. The sheer impact on world commodities and labor, the acceleration of disposable parts, and the massive amounts of energy drawn by server farms... all these belie such ethereal metaphors as "the cloud," our popular sense of speed and lightness. (I read somewhere, not in this book, that China is building half a dozen new nuclear power plants mainly to cool server farms.) In addition, the physicality of the internet begs analysis in many venerable philosophical traditions, from a Marxist framing of "superstructure and base" to the ancient questions of mind-body paradox (of which the net seems a vast embodiment). Unfortunately, the author barely touches on these issues. His approach is first-person narrative journalism and the romantically descriptive travelogue, closer in tone to Isabella Bird than critical theory. 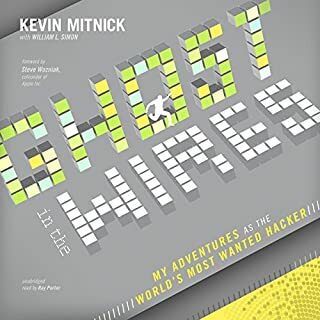 He visits several historically important sites in the development of the net, describes in colorful detail people he meets and places he sees, then describes his descriptions, no possible metaphor spared. To be fair, he is a good writer, intelligent observer, and does a very good job of reading his own book. On his own terms, he produces a good piece of narrative writing. There are a few good details, like the fact that Google data centers are blurred out on Google maps--shades of Foucault's panopticon! But the level of visual description is swooningly pre-photographic, perhaps a writer's reaction to digital hegemony, but perversely unsuitable to the subject. Those who like descriptive travelogues may enjoy the book. If so, I hope they will write in with more positive reviews. It is hard work to write a book, and some people are bound to like this one. 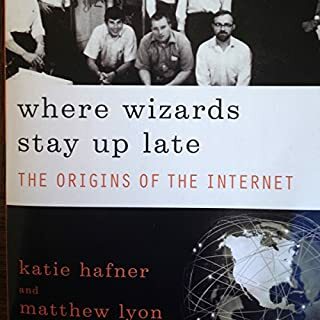 I found it over-described and woefully under-theorized, and it left me still looking for a good book on the obscure materiality of the internet. Would you consider the audio edition of Tubes to be better than the print version? I've only experienced this title in audio, but it was easy to listen to and a good quick listen at that. 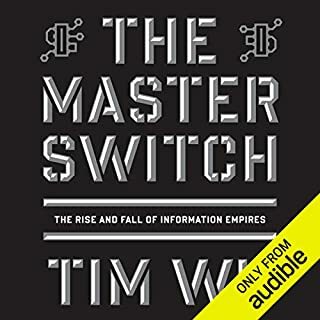 I was working at Equinix at the time, a company that is featured to a good degree in this book, and it was really cool to learn more about the history/current state of affairs when it comes to IT infrastructure. Which character – as performed by Andrew Blum – was your favorite? I think it's important to have an understanding of this subject matter to at least some degree. This is a good primer. If it had contained more substantive information about the Internet and whole, whole lot less introspective rumination by the author about how he felt about novels he has read and what the weather was like on the day he took a train which passed through New Jersey ("a clear gray sky"???). Has Tubes turned you off from other books in this genre? It would had done so if I actually knew what genre this book fit into. "Wandering Self-absorbed Introspective Nothingness"? Would you be willing to try another one of Andrew Blum’s performances? What character would you cut from Tubes? It really makes me feel bad to have to write a review like this, but this book should never have been written, published, or read aloud. I literally feel cheated. Comprehensive intelligent interesting. This is a must read for any young gifted person to understand what the internet is to help lay the groundwork for the next iteration and probably make billions. Should be a documentary. Fascinating. This book had so much potential, but at the end of the day misses huge opportunities to describe many of the places that we travel to every day but never get to see. The author seems fixated on explaining only a limited number of physical points in our global data infrastructure, and uses even more time attempting to describe the people that work on them in detail. He travels around North America and Europe to a handful of sites and networking industry events he deems "worthy", but does not consider other places to be important. Wireless in any form (WiFi/cellular, microwave, satellite) is never mentioned, even though mobile is the fastest growing and largest portion of the Internet, as well as the primary connection medium outside of the First World. It seems he cherry picked the places he wanted to go and then slapped a travel book together. Since the Internet is nearly everywhere, this is far from an objective or accurate view of cyberspace. Usually I consider it a plus when the audio book is narrated by the author, but unfortunately in this case this is not true. The author (presumably) has a strong passion for his esoteric work (why else would he leave his wife and baby to spend a small fortune flying around the world), but puzzlingly his monotone never conveys any throughout the duration of the recording (particularly true during his meeting with the UCLA professor that established the first node in 1969). 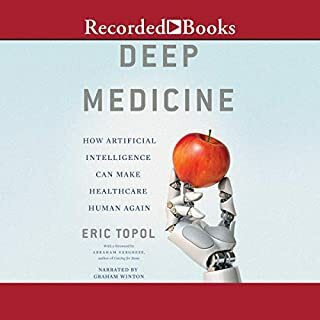 I hope a more holistic, fair and passionate account can be provided in a future edition (which seems unlikely since this was originally published several years ago with no updates to date). This is great for a technical layman that is interested in learning a condensed history of the internet. If you are already familiar with the basic components & history of networking and the internet it may also be useful as you get to see through the eyes of a layman discovering the physical nodes that make-up the system. I wish that the author had an additional chapter, however, giving a brief summary describing the theoretical futures of the internet. Specifically, how applied quantum physics may one day replace fiber optics and how bringing fast & reliable connections to developing nations can and will change the world as we know it. What made the experience of listening to Tubes the most enjoyable? Andrew Blum narrated it so the intended tone of the writing came through exceptionally well. His writing style is unexpectedly immersive, describing sights, sounds, and smells as only a true story teller could. Very well done. Even though I work for an Internet Service Provider, there were aspects of the inner workings of the Internet that I didn't understand. This book shed some light on some of those grey areas. The book is not very technical in nature, though it can be slow at times. I would recommend the book for anyone who is curious about how one of the most important parts of modern society. if you've ever wondered how planes stay up in the air or how "the internet" actually works this book is for you - not that it talks about planes but because you seem like the type of person who has a curious mind. despite the fact that there is a lot of engineering in this book it is easily understandable to the layman.